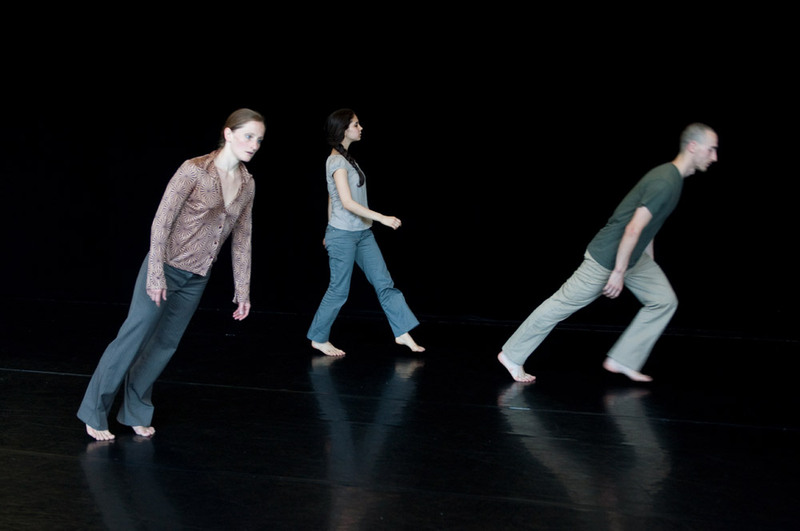 The human race progresses from left to right in Guilherme Botelho’s Sideways Rain. A stream of bodies passes before our eyes for just over an hour like a scrolling LED display on a screen. We project our own meaning onto the unending procession of figures, though the basic message is self-evident: we are all heading in the same direction, driven by the evolutionary urge to keep going – to survive as a race, even though we know that, as individuals, we’ll die. There are 16 dancers in all, though it takes a while before their identities register as they come past, time and again. 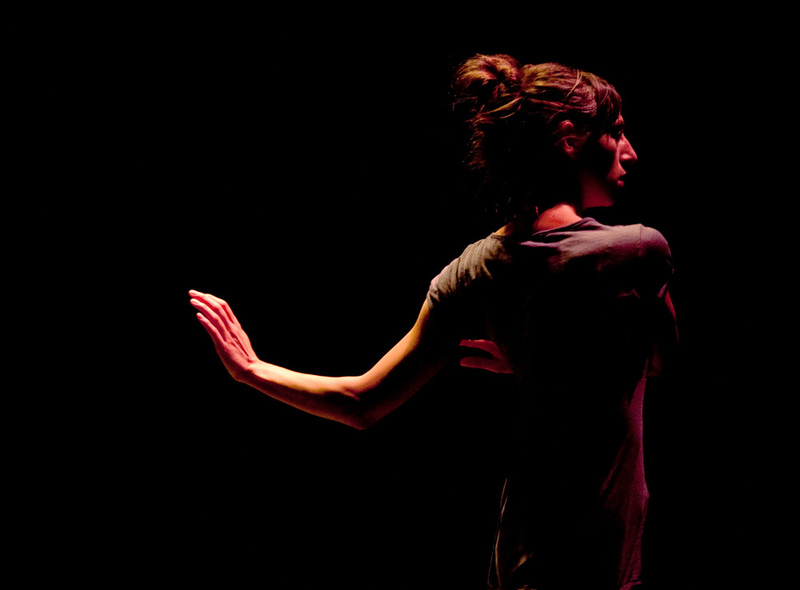 Compagnie Alias, based in Geneva, has been under Botelho’s direction for 18 years, the largest independent company supported by Swiss authorities. 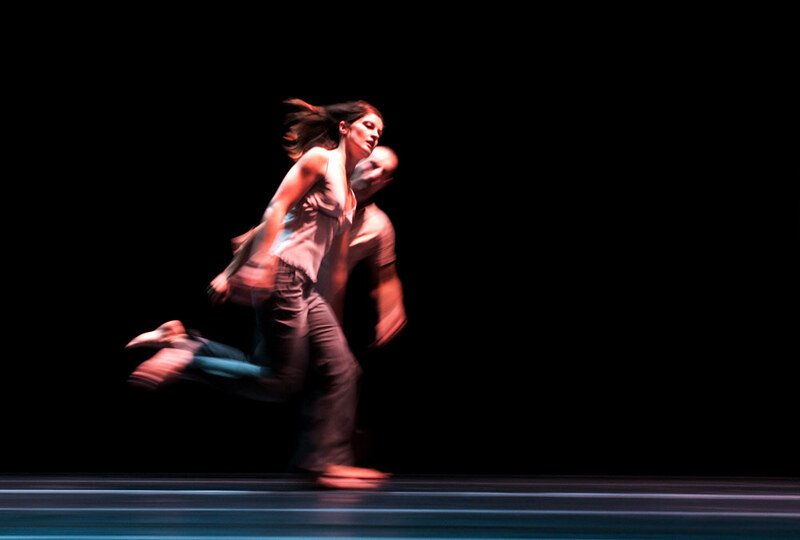 For Sideways Rain (2010), his eighteenth work for the company, Botelho acknowledges the additional input of dancers of the Bern Ballet, run at that time by Cathy Marston. 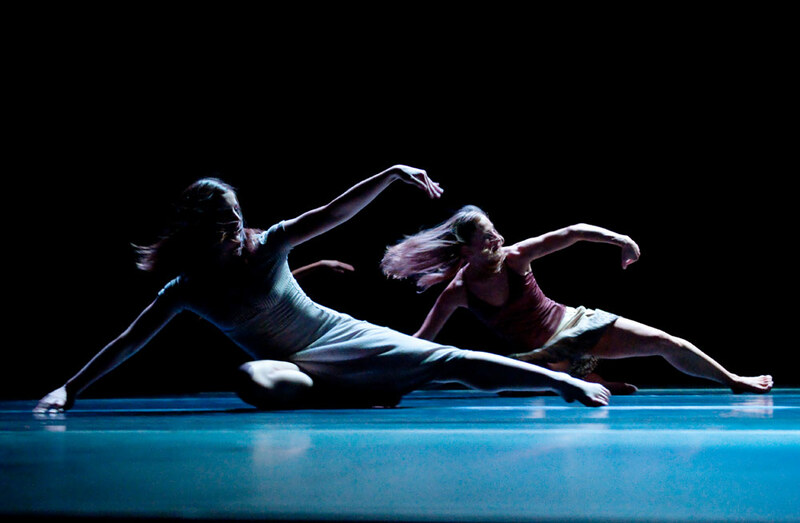 Although the choreography for Sideways Rain appears minimalist, the performers are highly skilled. They succeed in walking and running completely naturally – never simple for trained dancers – and tumble across the stage with the fluency of athletes. They start on all-fours: crawling on hands and knees, slithering sideways on their thighs, scrambling at speed on hands and feet. At first they appear an army of ants or a troop of monkeys; then one figure stands erect, contemplating those stranded on their backs. He is soon re-absorbed into the relentless low-level procession, after the droning music (by Mexican composer Fernando Corona, alias Murcof) has softened and sweetened. But then figures enter upright, in street clothes. Some break into a run, overtaking pedestrians. Now they are individuals, moving at different speeds, gazing upwards at the stars. Cast down, they roll over and over as if waves were sweeping them away. A man and a woman stand against the tide, trying to make contact, as the music breaks into song – ‘Stay with me’. Not for long: the sea of humanity submerges them, carrying them into the wings. Upright once more, commuters walk purposefully past to a common destination (unlike Julian Opie’s random electronic pedestrians for Wayne McGregor’s Infra). They turn their heads towards the source of light they’ve left behind and turn to walk, then run, backwards. Stumbling, they continue falling in a series of somersaults as though transported on a conveyor belt. No one can resist. In a final sequence, each individual runs urgently, arm outstretched in the urge to catch up. One by one, they lose their clothes, reappearing seemingly naked as they spool out silvery threads behind them like spiders’ silk. The stage fills with horizontal lines, half-concealing the sprinting cavalcade of dancers. The music swells loudly, then quietens so we hear the patter of footfalls as we watch the sideways rain. The light fades, the curtain descends and so do the performers, reverting to the crawl with which they started. Botelho trusts in renewal. It’s a masterful, mesmerising piece. Botelho and his collaborators make the most of minimalism, paring away movement and designs so that the slightest variation becomes intriguing. Normally I have a bugbear about dancers running – a far too easy option for a choreographer. Not here: every metaphor for the human condition works. Jann: A small point. Cathy Marston is still AD in Bern, but she will leave next summer, at the end of the curent season.